Headless JS is very useful for running background jobs and it would be nice if it worked for iOS as well. 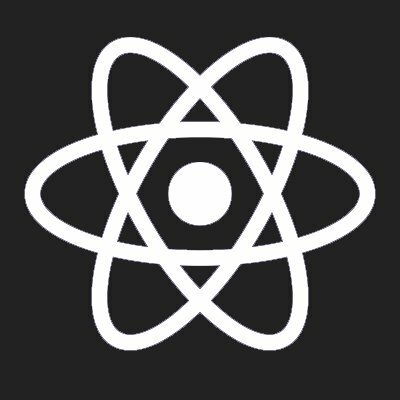 How to transfer a fetch api call to background thread when app is closed ? this is the most awaited feature! yes , we really need this. our company is currently develop application that implement "running-background" feature on IOS and Android OS. It's extremely important to us too! what are you currently as an alternative on iOS then? are you implementing a pure xCode/native code to run a background on iOS, by ejecting to native? or something else? for God sake guys why this feature is in the wish list for around 2 years? it is a must. @Vahid Mousavi: what to do, what not to do !? I need this feature for iOS too. Headless JS makes no sense for iOS since iOS has no concept of "Headless" or background services. @Chris Scott: there's no way to emulate a background services with on iOS then? @Wellinton Monge: There's no such thing as "background services" in iOS. Well, there is but they're not exposed to the developer. For example, if your app is monitoring a Geofence with the native API, this geofence will continue to be monitored by the OS in spite of app termination / device reboot. If that geofence triggers an ENTER/EXIT event, iOS will reboot your *entire* app in the background to service that event. Essentially, iOS is running a hidden background-service to continue monitoring the geofences. What is the status of this work? @Martmax: I ceased development of this feature, because we don't need it anymore for our project. Feel free to use the version from April as a base for further implementation. I'm happy to answer any questions you have. @Noil: Well I'm just looking for an equivalent of Headless JS on iOS. Did you use another solution or just didn't need it anymore? The use case I have is to handle some calls to a server without interrupting them when the app is closed. @Martmax: Even with Headless JS for iOS you need a valid background mode to be able to make server calls after your app is closed for some time and of course you can still not be sure that the user or the system terminates the app. In our case we used it in conjunction with bluetooth, but not anymore. Wow, I just realized that this feature request gained some popularity and is top 3. Please, please implement this feature. It is necessary for so many apps! Please please implement it, I really need it. I really need this feature, please implement it! This is a must have feature, I wonder why RN doesn't have it yet! Background Fetch is a lot more restrictive than Headless JS, so the functionality is mostly limited to what the former allows. It will definitely be very useful! What are the steps to make it possible? It would be a very useful feature! What does the "headless" mean in "headless js"? @Bhaskar Murthy: Ok, so is it like running "node script.js" in your terminal? Not sure what you mean by foreground. Apple won't allow this. Use iOS background-fetch instead. @Rob Moorman 🚀: I think Headless JS will be as legit to run in background as native code. Of course it won't magically allow us to execute stuff in background without termination. But i think if you have a valid UIBackgroundMode you can execute headless JS within its borders. We also need the headless JS execution for iOS. I implemented a proof of concept for iOS which worked quite ok. Initial spin-up-time was ~1sec but after that the tasks were executed in ~10ms. Memory consumption was ~25mb extra. There seems to be no issue for headless JS at the github repo. And this feature request here is not 'In Progress' so i guess the core team is not working on this right now? @Noil: Can share the work you had done? I'm interested in implement the feature. To use headless execution you just have to initialize the Libraries/Headless/RCTHeadlessTaskController.m and then use executeTask to perform the RCTHeadlessTask. There are some TODOs in the code that needs love. First of all there should be tests. I am happy for any help implementing the lasts steps needed to make it a solid headless JS. @Noil: Great work! Did you get any response from the core team on if this PR would be merged? @Viktor Eriksson: I forwarded your question to a core developer of RN. But there has to be done some stuff, before it could get merged. Please contact me, if you want to contribute to this feature. @Noil: This is a critical feature for me and my team and I'd love to help implementing it! Could you get in touch with me through Github? @Niclas Nilsson: Your contribution is very welcome, Niclas. I just sent you an email. @Noil: Great job! How I can help with this feature?